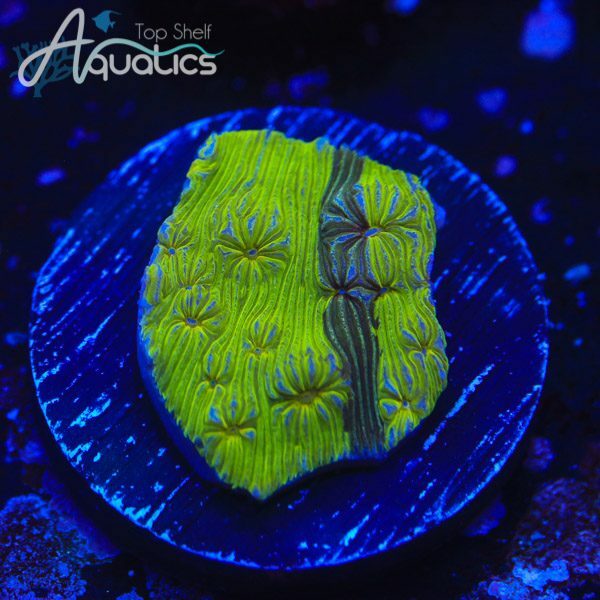 TSA Thunderstruck is a fast-growing acropora that has a striking yellow base with hints of blue. The contrasting dark red polyps really make this coral pop in any tank! Price is for a 1/2" to 3/4" frag.